I’m currently engaged in a little side project to my research and as part of this I’m trying to make a list of films that feature dinosaurs. This only includes films focused directly on on dinosaurs (so sadly ‘Pterodactyl’ loses out) and things that either are obviously dinosaurs, or are identified as such in the films (so ‘Reptilicus!’ survives despite it really not being very dinosaur like at all). I’m also sticking to those which had a cinema release (bad luck ‘Dinoshark’) and I’ve generally avoided sequels (or this would just include a list of Godzilla flicks) or remakes though some exceptions are made. I’m also trying to stick to things where dinosaurs are a major part of the film (so ‘Journey to the centre of the Earth only just scrapes in and ‘Fantasia’ loses out). I think I’ve actually got the majority of them but if you know of any I’ve missed out on, do please add them in the comments. OK so the last two for now. 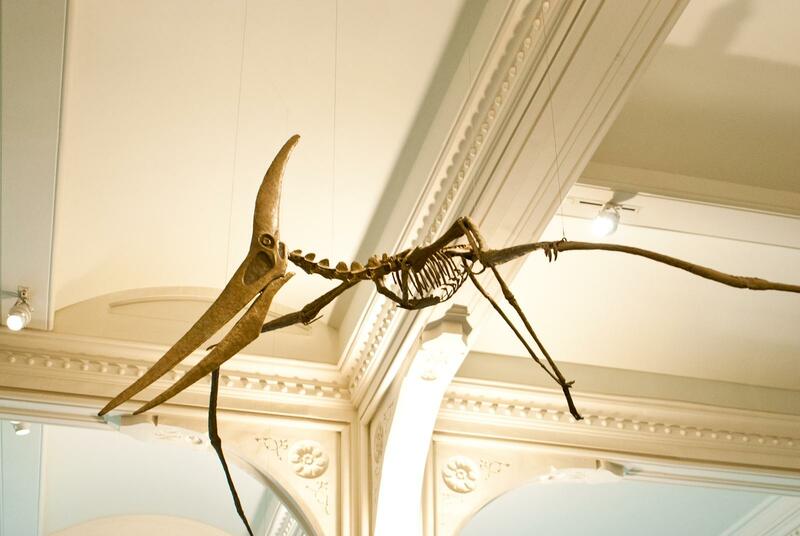 Above is a cast of the famous Quetzalcoatlus wing. This is something I’ve never seen before so is rather cool. There are casts of the humerus floating around in various places, but this is the first time I’ve seen the rest, including that lovely long metacarpal block and pretty thin phalanx 1 of the wing. 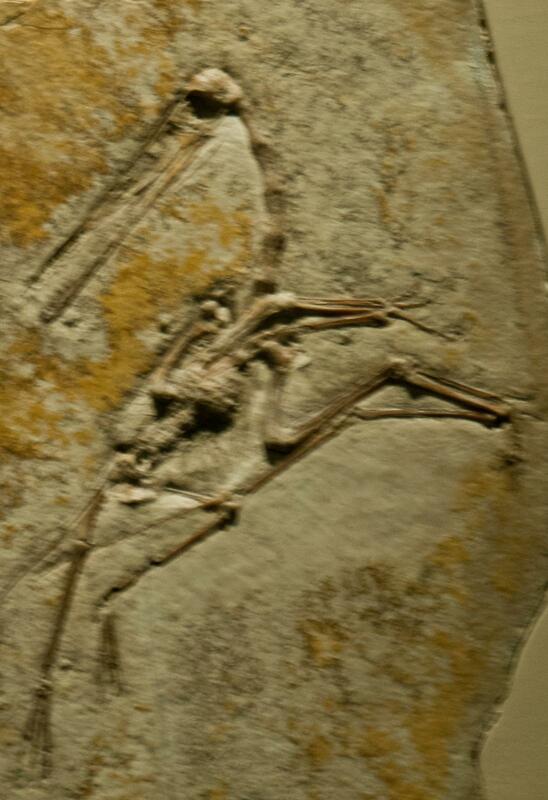 As with yesterday’s Pteranodon, fingers 1-3 do seem to be backwards though. Below is a cast of Tupuxuara and again, I’ve seen copies of the head but not the rest. 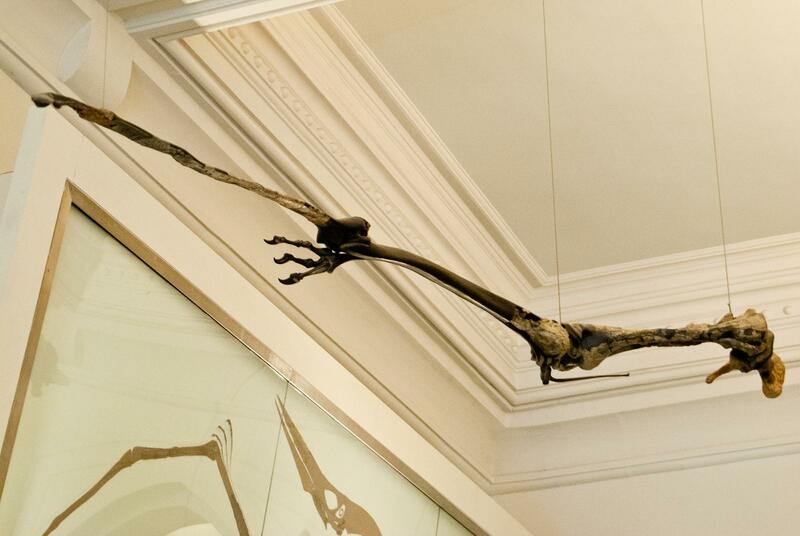 This is an animal that has a proper grounding in the concepts of massive head crests, and indeed a big skull in general and a mount like this really does show off the extreme proportions of this group – the heads are huge, the legs pretty long, but the body? Well the pelvis and sternum almost completely cover it and if you were feeling jaunty, you might be able to cram the torso *thought* the nasoanorbital fenestra. Cool. 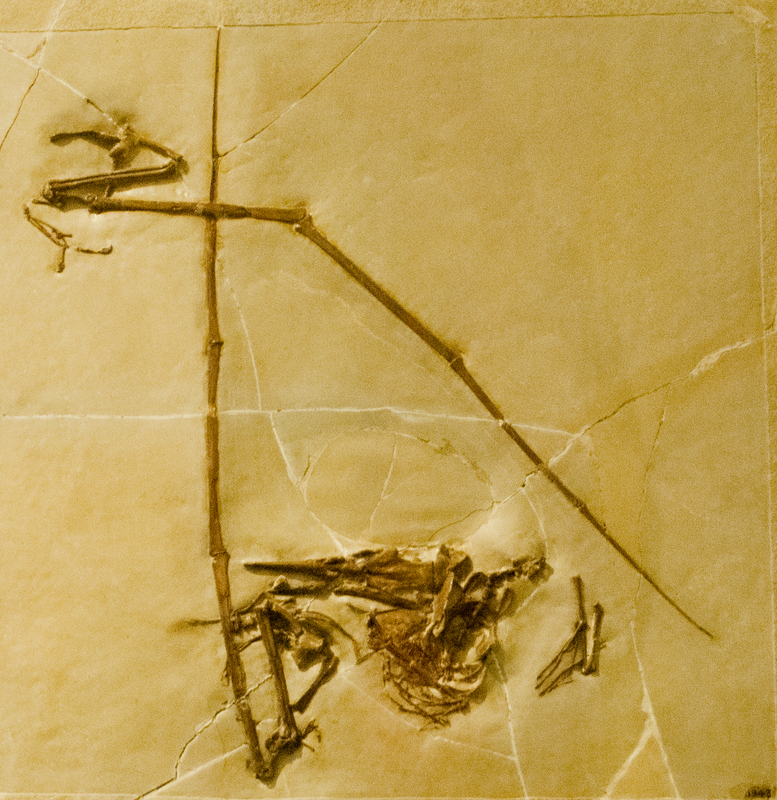 Following on from yesterday’s coverage of the Solnhofen material, today we move into the Cretaceous and to Pteranodon. 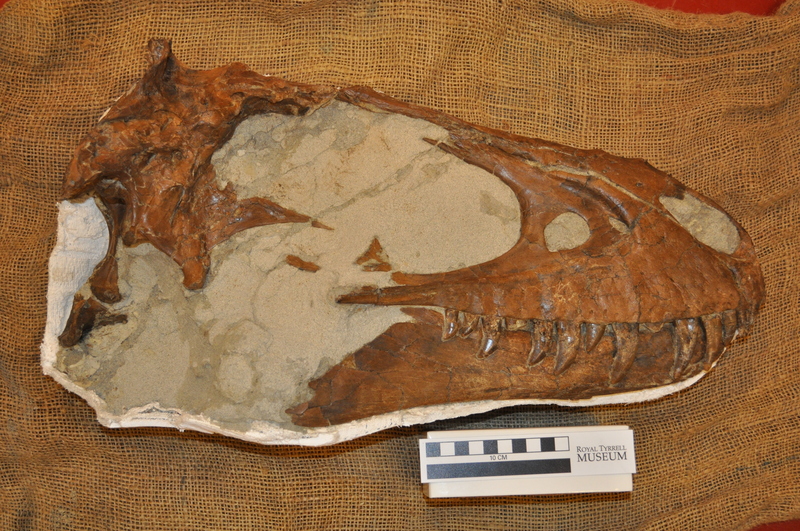 There’s a rather incomplete post-cranial specimen, a rather incomplete skull and then a nicely mounted cast / model. Pteranodon is known from a lot of material (over 1 200 specimens have been identified to date) but a huge amount of this stuff in very incomplete and badly broken. So while it is well represented in general, both of the specimens shown here are actually really pretty nice. Recently I talked about the slow diffusion of Solnhofen specimens that have made their way to institutions around the world. 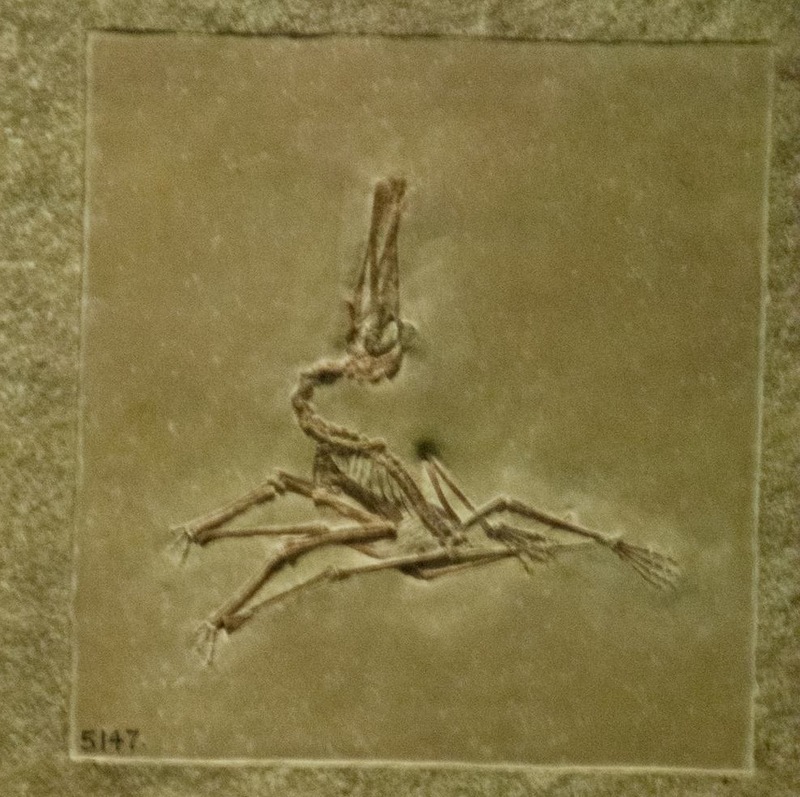 I’ve had a few good leads and comments already which is nice, and reader Steve Cohen was kind enough to send in some photos of the various specimens and mounts at the legendary AMNH. While this material is well known, most of the images I’ve seen date back to the 70’s and photocopies of scanned black and white photos are quite simply pretty low resolution. My thanks to Steve for these and there’s more, non-Solnhofen stuff coming tomorrow. 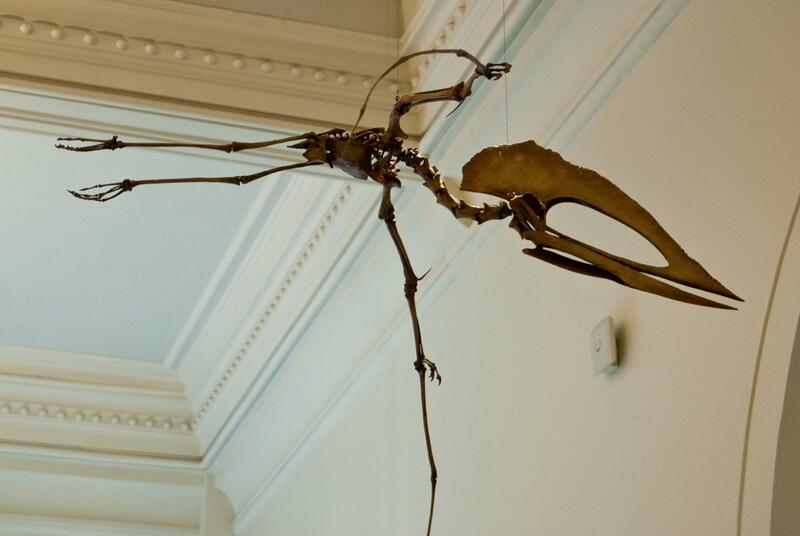 For the non-pterosaur taxonomists reading this, that’s a rather nice Rhamphrhynchus at the top. 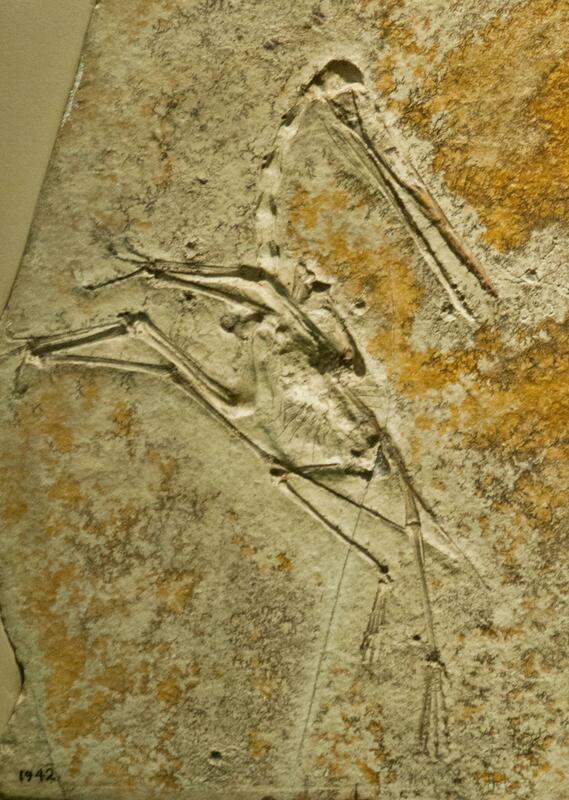 Below we have small Ctenochasma and then a really nice and complete Pterodactylus with a near-perfect counterplate. Well, it has been a while since the last post where we finally rounded up and summarised Darren’s massive series of posts on preparing a Gorgosaurus specimen. Here Darren summarises the prep work done since and provides new photos of the skull now seen from the others side. 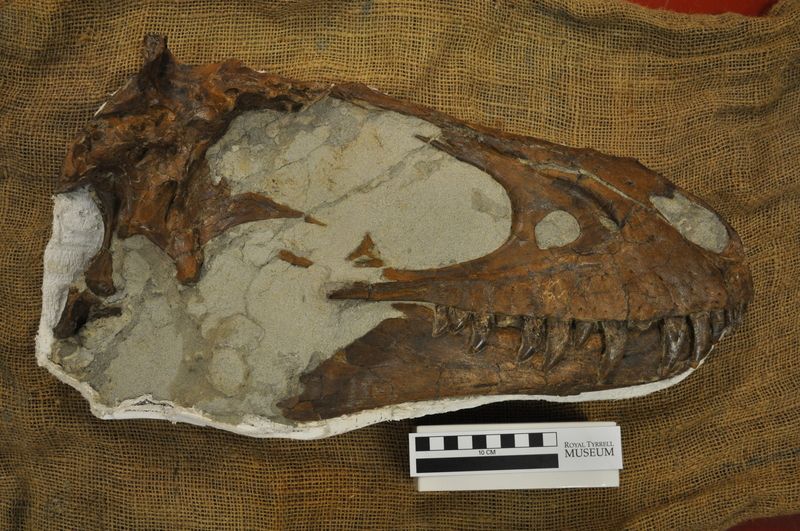 After a long hiatus, I update the Gorgosaurus preparation series, with this, the final installment. Since the last posting, the entire specimen, and select parts thereof were moulded in a high-quality silicone rubber compound so detailed casts of the specimen can be made in the future. 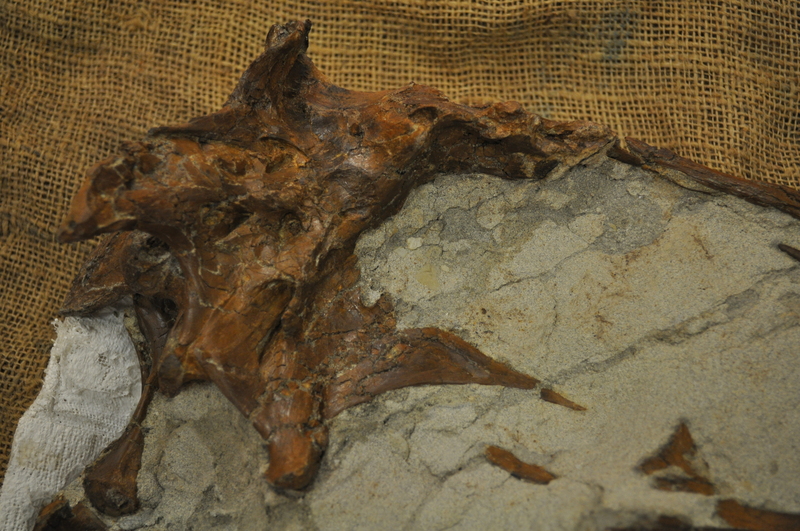 After the moulds were removed, the entire specimen was covered in a separating layer of wet tissue paper, and then plastered over and flipped over. The side now facing up is that which faced up in the field. As this is the upward-facing side, and there was only low rock overburden in the field, this side of the skeleton was more exposed to the effects of rain, frost, rock fracturing and rock expansion/contraction from summer heat (up to +40C) and cold winter temperatures (down to – 40C). Because of this, this side of the specimen is less well preserved, in fact I’d say in many places it is poorly preserved- in some areas the bone is like the consistency compressed hot chocolate powder. Bones are also badly crushed in many places. If I can remove the equivalent of a sugar-cube sized piece of rock per day, that is pretty good going as I super detail the many bones preserved. The skull, being better ossified, was in better shape, but the bone quite splintery in places. This means the work has proceeded very, very slowly. The tools and techniques were much the same as in earlier postings, though much of the work is being done with a head-mounted magnifying lens and later, probably microscope work. Also the work has to go much slowly. It can be seen that the posterior right side of the face is missing. This is because as the carcass rotted, the side of the head, exposed to water currents, was disarticulated and piece by piece the bones were washed away. We have a couple of them, but are missing 6-7 to make a full skull. However, we get a beautiful side view of the braincase which is important for researchers. 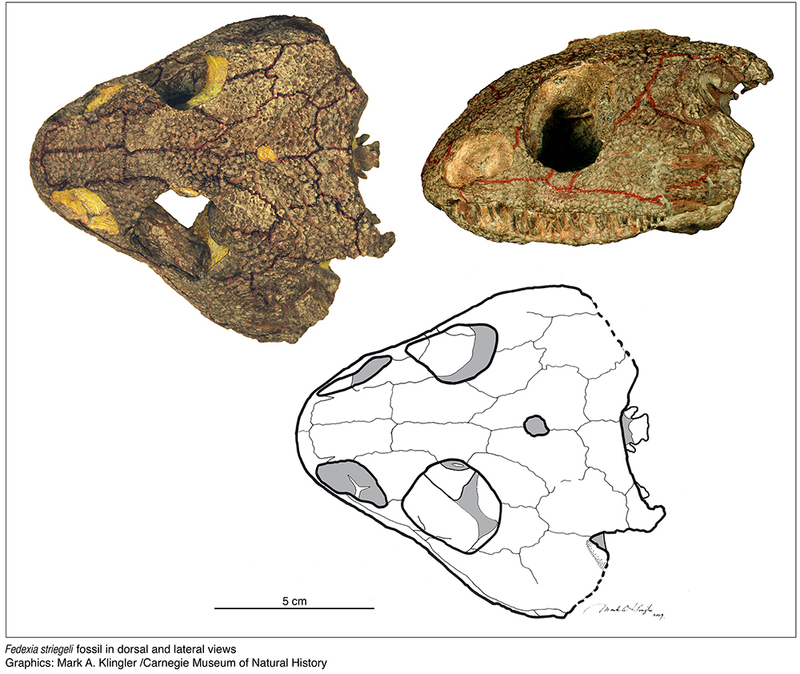 We had the whole skull CT scanned recently and really nice images resulted for study by one of the Royal Tyrrell Museum scientists. Preparation work on this side has also revealed some anatomical details that are important to future scientific study and eventual publication(s) that cannot be shared here or at this time and therefore, this series must end with this posting. 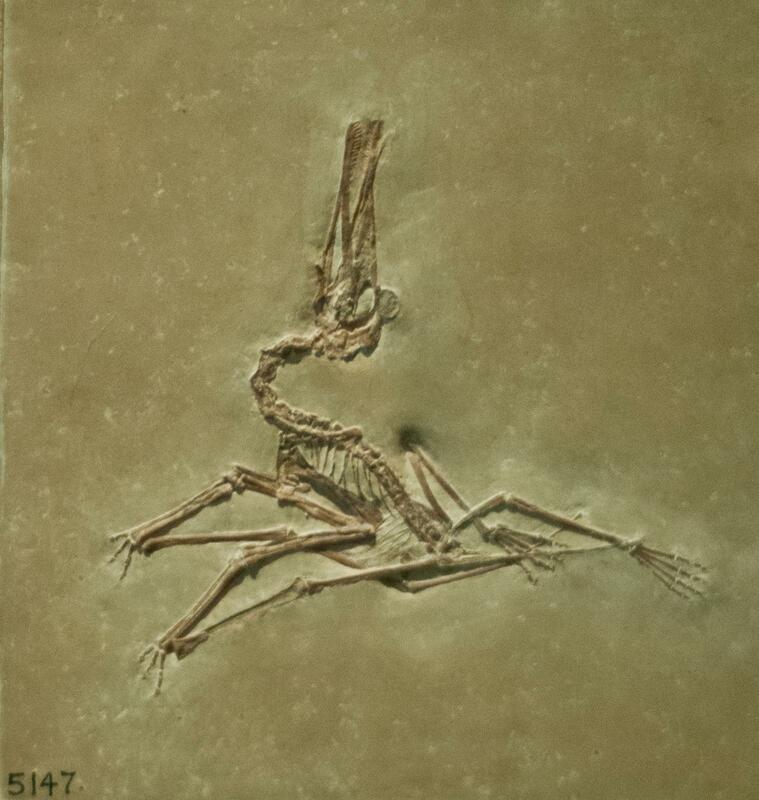 I have been happy to share the preparation of this gorgeous little specimen with you all and hope you learned something about the intricacies of fossil preparation. 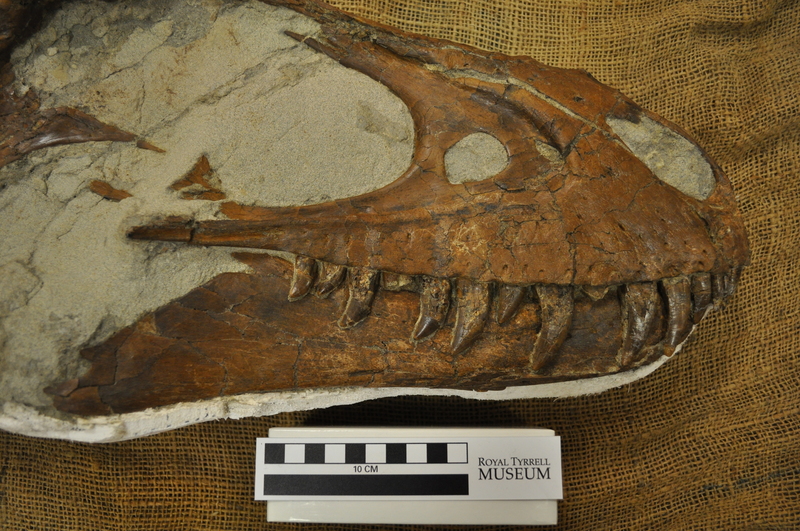 Best, Darren Tanke, Senior Technician II, Royal Tyrrell Museum, Drumheller, Alberta, Canada. 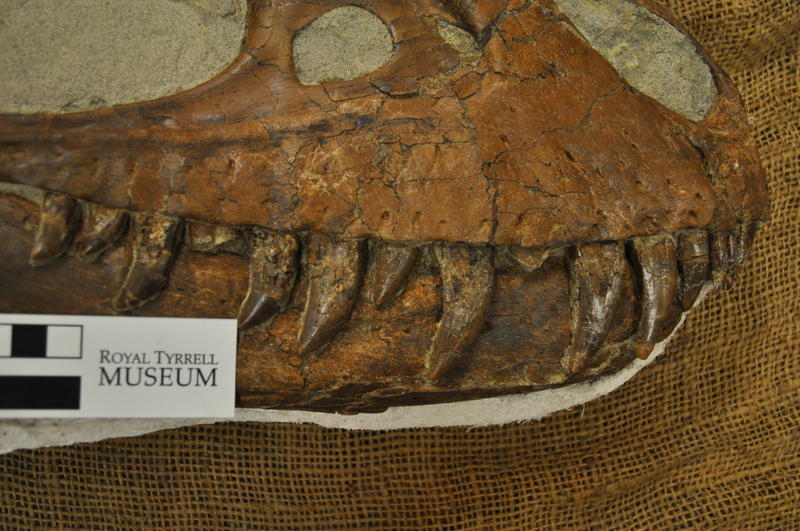 As usual all images are copyright to Darren / the Tyrrell Museum. Not a mass burial site I’m afraid, just a little linky to a nice online gallery of yet another random dinosaur park. The twist this time is it’s an abandoned one from what was East Berlin where the models have been left to rust and rot. Beautifully shot and rather sad and fun at the same time. This picture has been hanging around in my files for too long, so it’s time to get it out and on show. 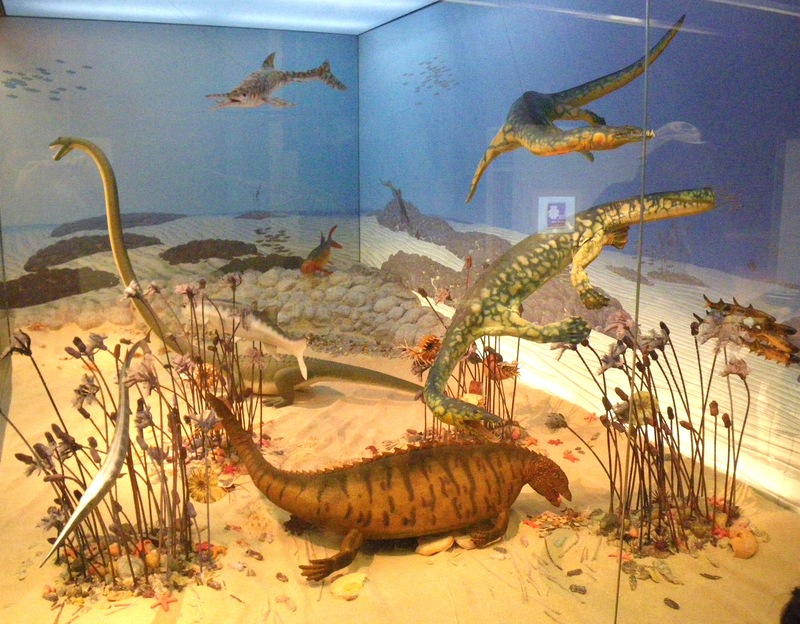 Not very archosaur-y I know, but it’s a lovely diorama (from Stuttgart) and well worth including. There’s a placodont, Tanstropheus and a couple of nothosaurs in addition to the various fish and crinoids. On the upside though, there’s some Gorgosaurus goodness and more pterosaurs coming next week, which I’m sure will make up for this one. The other day I had a little Twitter exchange with Andy Farke (of the Open Source Paleontologist) about the issues of finding referees for papers as an editor. Andy noted that there was not only a high refusal rate (people not wanting to review papers) and some referees being repeatedly nominated as choice targets by the authors of papers. I’ve not done that much as an editor and that’s probably why I’ve not seen as much of this as he has, but I can certainly see how it can be an issue. Either as an author suggesting referees or referees picking one, there are lots of people to try and avoid. Clearly you’re not supposed to go for close collaborators or former students of the authors as they might be biased, and equally avoid people with an axe to grind (oddly many researchers don’t like you publishing papers that take down their pet hypotheses). You also need to try and pick people who provide good, fair, reviews and on time. I’ve catalogued so of my own travails with late referees before and it’s not a lot of fun to wait months and months for a reply only to get a few lines worth of comment. Of course the referee also needs to be an expert in the area(s) concerned. It’s perhaps not a big surprise that this can prove tricky. By the time you’ve eliminated the referees that can’t or won’t review something, the ones that are always late, the nemesis of the lead author, his former students and best friends, and the ones you have asked 10 times already this year you can imagine the pool runs very shallow indeed. If that starting pool is small enough or has a lot of antagonists (he said while totally not thinking about pterosaurs at all) then it’s perhaps not a surprise that editors can struggle. While the pool can’t easily be expanded it would appear that some people do need to be more willing to review at all, or on time if they do. I do know that some editors will keep a list of good and bad referees, but I wonder if any journals / editors offer feedback to referees (if they do I’ve never had any or heard of it). It’s odd, we go to a lot of trouble for authors to reply to and comment on the feedback they get from referees and argue things through, but why is less attention paid to the referees themselves? The can be every bit as influential on the work, and certainly I’ve come across reviews that paint the referee in far from a good light. Is it time to start handling and even reviewing the referee’s performances? It can’t have escaped the notice of most readers that there is currently a rather major rumble going on in the world of scientific publishing. Huge numbers of blog posts, editorials, tweets, and more are going on about quite what researchers should and shouldn’t do with their work and with regards to their interactions with various publishing houses and the knock-on effects of access to research for the reader. If you’ve not been keeping up or are not familiar with the general set-up for publishing papers I’ll try and give this the briefest of introductions. In short as a researcher once you have completed your work, you’ll need to get it published in a journal if people are going to read it. That means submitting it to a journal where an editor will read it and select referees. They’ll report back to the editor who’ll sift the results and send them to you. You’ll make corrections and send it back and hopefully it’ll go to publication if it’s deemed good enough for the journal. So much so simple (well, over simplified). What is causing the stir is that in most cases when you give your work to the journal, they aren’t just publishing it for you, but you sign the copyright of the work over to them. In short, you do all the work and they then sell the papers onto people who want to read it, potentially including the university or museum you’re already working for… This to many doesn’t seem right or fair and in the internet age researchers are in a position to complain and organise and do something about it. The battle, such as it is, is ongoing. I’ve not been drawn on this before as, while I do have some strong opinions, it’s largely not the kind of thing I want to blog about on here. What is relevant to this blog however is the process involved from the perspective of the academic. While I have written a couple of posts before about the mechanics of writing and reviewing papers, I wanted to provide more of a summary of everything that a researcher can end up doing in the chain to publication. Obviously I’ve published my fair share of papers both as a lead or sole author and co-author across a variety of platforms. I’ve also been an editor for volumes of papers produced by museum journals, and I’m an editor for a ‘mainstream’ palaeo journal with one of the big publishers. I’ve also reviewed dozens of papers over the years for all kinds of books and journals, at least 50 or so and probably much more though I’ve never kept a close count. In short, I’ve seen things from all sides a good few times each. What I’m putting down here is purely from my own experiences and while it therefore certainly anecdotal, I don’t think it’s anything other than entirely normal. I’m not complaining or criticising it, just saying what I have done and experienced. I think that’s worth adding to the mix. As a researcher I come up with the ideas for papers. I do the research. At the moment that includes doing things on my own time and money, though before it’s been (mostly but not always) covered by a grant or my employers. I do the work, write the paper, format it, create the figures and the rest. I don’t get any help with any of this from the journal at any point. Indeed oddly enough quite a lot of effort can go into formatting and arranging things to the very exacting specifics they require, even if the paper is later rejected or even if the journal itself doesn’t print things in that format (yes, really, they make you format things to a standard for them to read them but which they will change later if they ever do print it). The odd journal still requires you to submit multiple hardcopies which are not necessarily cheap to print or post. I get no pay for this and typically (but no, not always) hand over the copyright of the work. One journal did send me free issues for a year for publishing with them, but in a lot of cases I don’t even get access to my own paper at the journal and in more than a few cases I’ve never even gotten a free PDF of my own work. Rarely am I even informed if something has been printed, and on more than one occasion things have been done against my express wishes (e.g. publication of advanced un-proofed copies of papers). As an editor I take papers submitted, read them, check them and pick referees. I send the papers to the referees and ask for their comments, hassling them where necessary. When the reviews are back I collate them and make a decision and send them comments out to the authors. There may be further dialogue with the authors, referees or other editors. When the corrections come back I need to check them again against the referee’s comments before making a decision. Speaking for myself, I don’t get paid for any of this, and nor have I had any training or received any benefit from doing the job (like access to other journals in the care of the publishers) or copies of the journal itself. As a referee I take on papers to read and review. Some can be very long, or complex or just badly written and require a lot of time devoted to them (one I recently reviewed twice was about 150 manuscript pages with about 50 figures as well). I might even have to read other papers too and check analyses etc. in addition to writing the actual report. I don’t get paid for this. I don’t get free copies of the paper when it comes out or (most of the time) even notification it’s been published. 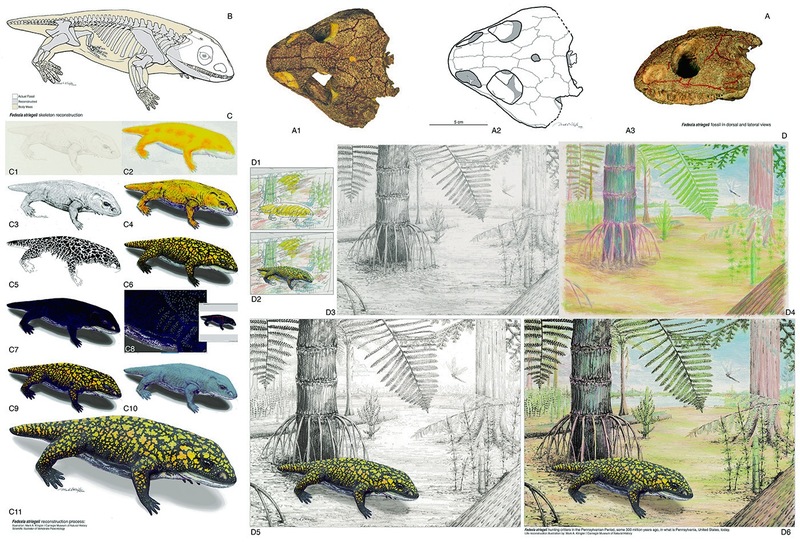 Those are all the things I do with regards to publishing a paper and are therefore in the main what I think happens to a typical palaeontology paper with regards to the input from academics. The main thing the journal does is actually format and arrange the words and images into their own format and to proofread it. Don’t forget though that I’ve already formatted much of the manuscript (titles, numbered headings, reference formatting) and scaled images etc. according to their layouts and I often have to correct errors introduced by the journal (generic names have a nasty habit of becoming un-italicised). Oh yeah, and they will eventually publish it and of course send it out to subscribing libraries, museums, universities, societies and individuals and sticking it up online so people can find it. So what do I generally get out of this? Well as an author, a paper in a journal, hopefully a good one that will (theoretically at least) enhance my reputation, and with luck a free PDF. As a referee, I get to see things in advance of publication (assuming the get published of course) and I know I’m doing a job of helping keep science on an even keel (however small the role). As an editor I see what’s going on and can generally get access to these and other papers in the journal, and hopefully influence and improve the devlopment of the journal. That is, however, about it. Certainly a good paper in a good journal will help my profile and can count for things in research reviews and the like and it can be worth a lot, but it’s still no guarantee that the people who need to see my paper will or even can. The trade off does therefore vary enormously from journal to journal with the prestige of the journal, the access it grants to others, the promotion it gets, and the ease and help that can accompany the submission and review process (some are far more tortuous than others, some are blessed with excellent editors, others cursed). However, I think most would note that for many journals it does seem like they get an awful lot (all my time, efforts, the actual science itself since I give them the copyright) for not a huge amount in return (it gets published and many, but not all people can see it). Of course how this affects individuals and institutes can only really be talked about in a case-by-case basis (what is this paper worth in this journal?) but based on my own experiences I can’t help thinking that in the future I should be more selective about what I do with my work once it is finished and before I formally hand it over. In my mind the trade off is certainly worth it in some cases, but far from all. 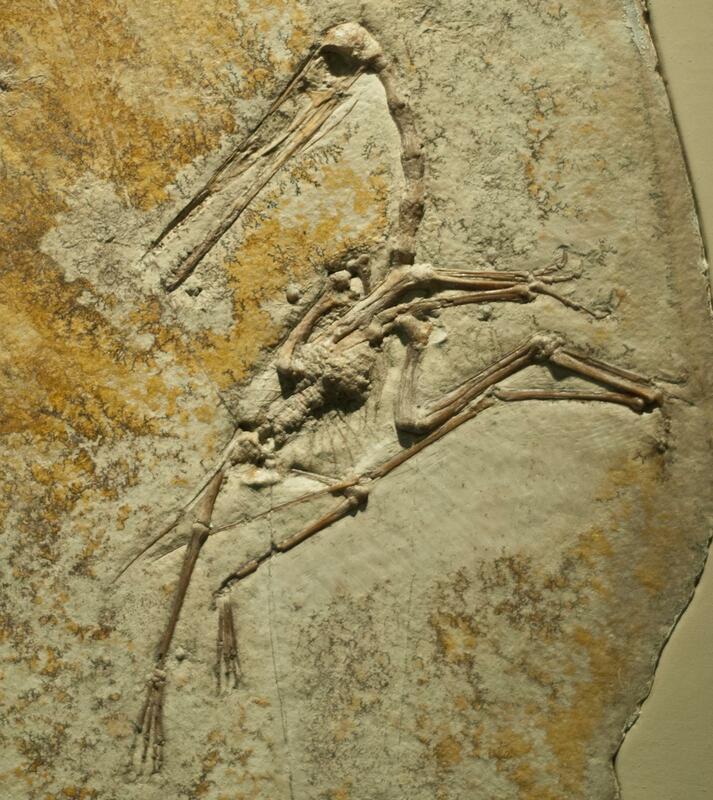 Guest post: Rhamphorhynchus…again: Superprecocial “flaplings” or defenseless hatchlings? Back at the end of last year, buried in the huge mass of posts based on my superb trip to the Carnegie in Pittsburgh, I covered this lovely little display about the creation of palaeoart, based on an animal named Fedexia. The artist responsible, Mark Klingler, was kind enough, not only to supply me with the means to get hold of his DIY Quetzalcoatlus, but also provided me with some of his files on his reconstruction to show the process rather more clearly. My thanks to him for these. 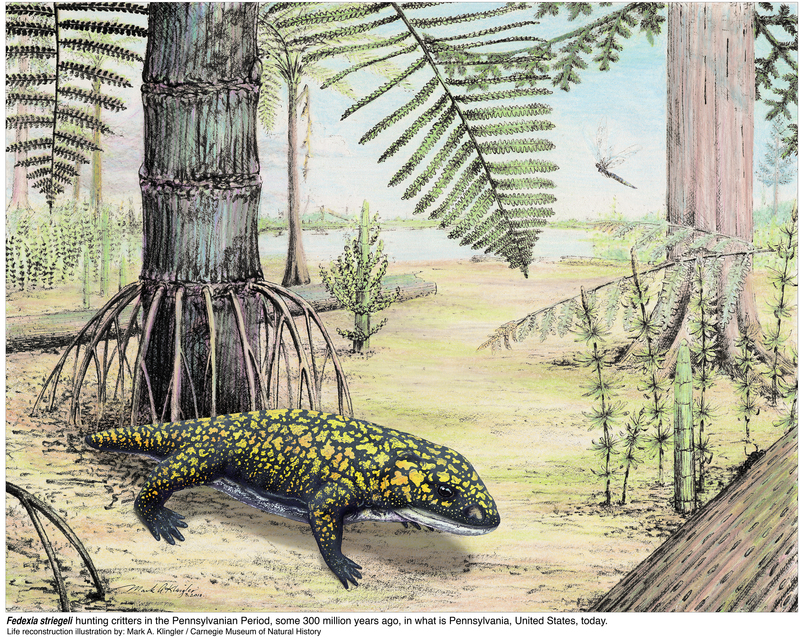 Back in my stint at the Carnegie, I had a great chat to Mark Klingler about his palaeoart. Mark mentioned that years ago he had created a little ‘build your own pterosaur’ kit where you could print out a Quetzalcoatlus he had designed and stick it together. He was extremely generous in offering this to the Musings to go up for people to do themselves, but he needed to check the copyright issues and find the necessary files. Mark got back to me the other day to tell me that unbeknown to him, the files were already online and available on the Carnegie’s own website. 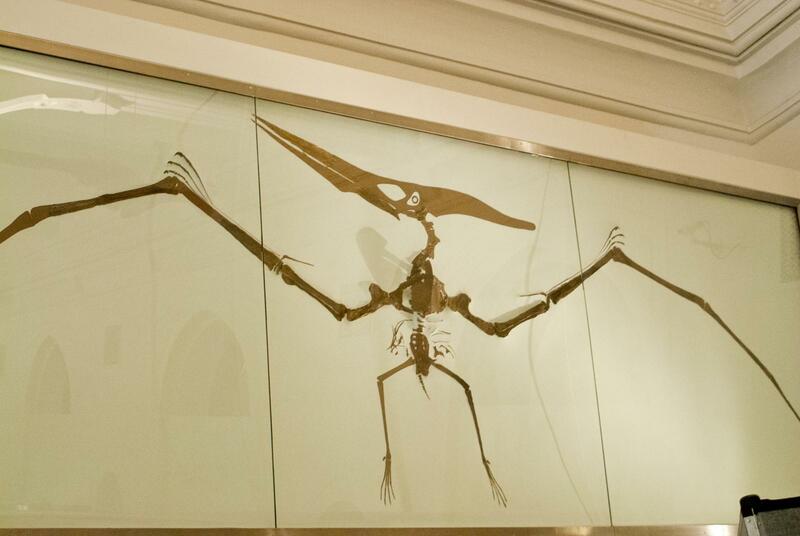 So problem solved, you can get them whenever you want and make your own (small) giant pterosaur. Just go here and follow the instructions. Mark was cunning enough to make it so that it’s a skeletal view on one side and a life reconstruction on the other! So get building and enjoy. my great thanks to mark for his original generous offer and for tracking down his files. 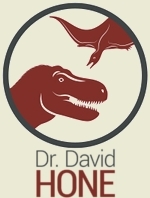 Sure it’s easy enough to get them where they are, but even he didn’t know, so I’m delighted to bring this to a wider audience and well done to the Carnegie too for making this freely available for kids (and palaeontologists).